Welcome to The Proof Sheet, where each week I'll post some of the more notable photography news in sweet, chewy, bite-sized, easily-digestible morsels. Click the Read More for this week's stories. Cinematographer John Brawley posted the first frames shot using Blackmagic’s new 4K URSA camera this week. This is the one Blackmagic announced at NAB in April that has a 10-inch, 1080p pop-out display, shoots 4k at 60fps, and comes in a camcorder form factor for a fraction of the price of the RED. Uh…yeah! Needless to say, the footage is drool-worthy. Click here to see it. A team of researchers from Japan's University of Tokyo and Keio University have created the world's fastest camera. It's so fast in fact, it can record a chemical reaction in a single shot. That is 1000 times faster than the previous best, and is essentially 1/6 the speed of light. 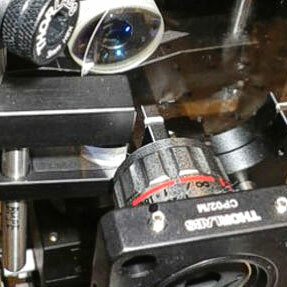 "Its optical shutter shoots images consecutively in less than one-trillionth of a second," Gizmodo reports. Don't know how I missed this one earlier this year, but just in case you did too, Digital Photography School posted "15 of the Best Cheat Sheets, Printables, and Infographics for Photographers." And the dialogue surrounding this awful disease needs to be louder and more profound and in everyone's face. If the day soon comes that depression and mental illness becomes an integral part of the public dialogue, and the shame surrounding them crumbles away, Robin would not have died in vain. Let's do our part to give back to Robin a fraction of what he gave to us. Rest in peace Mr. Williams. You've definitely earned it.